Kamran Rouhani addresses participants at United Faiths Walk of Peace in Pioneer Park, Dunedin. 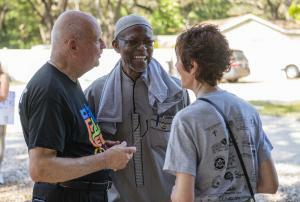 Members of dozens of faiths stop at Masjid Al Salaam in Dunedin during Walk fo Peace. Father Bob Swick, Imam Askia Mohammed Aquil and Elizabeth Fayer-Hosken of the Church of Scientology. 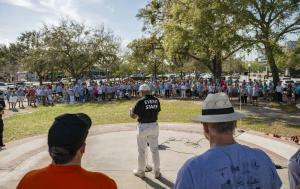 DUNEDIN, FLORIDA, US, February 28, 2019 /EINPresswire.com/ — Over 200 people from dozens of Pinellas County Florida churches walked under a bright, welcoming sun through two and a half miles of the city of Dunedin Florida on Sunday, 24 February. The event was started four years ago by the pastor of the Episcopal Church of the Good Shepherd, Rev. Becky Robbins-Penniman who was inspired by William Ury, co-founder of Harvard’s Program on negotiation. United Faiths Walk of Peace co-sponsors of the walk included: the Episcopal Church of the Good Shepherd; Dunedin Council of Organizations; St. Francis of Assisi Mission; Baha’i Faith; Faith United Church of Christ; Mt. Pleasant Missionary Baptist Church; First Presbyterian Church of Dunedin; Unitarian Universalists of Clearwater; Our Lady of Lourdes Parish Faith; Taoist tai chi; Church of Scientology Flag Service Organization; Clearwater Friends (Quakers); Interfaith Tampa Bay; root Healing Zen; Islamic Society of North Pinellas; and Open Door Church. The walk was from 2pm to 5pm starting at the Taoist Tai Chi to Pioneer Park where representatives from five of the sponsoring faiths spoke about peace from their faith traditions. Participants then walked on to the Mosque Majid Al Salaam for refreshments and a tour and completed the walk at First Presbyterian Church of Dunedin. Along the way, people introduced themselves to members of other religious faiths with the purpose of finding out the truth about what others believe and thus creating peace. 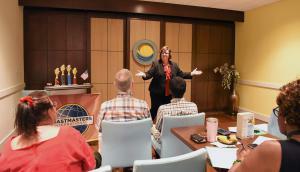 CLEARWATER, FLORIDA, US, February 28, 2019 /EINPresswire.com/ — On February 23, five Clearwater Toastmasters clubs held their Area Speech Contests at the Clearwater Community Volunteers Center. Contestants competed against each other in contests based on their speech content, delivery and entertainment factors so they can progress up to the district level contests later this year. The Center is sponsored by the Church of Scientology Flag Service Organization. The two types contests held at the area contest were Tall Tales, where participants deliver a highly exaggerated and improbable story in a speech format, and Table Topics, where the person speaking is made to create an impromptu speech based on a topic only made known to the speaker moments after stepping in front of the audience. First, second and third place winners were announced in front of all clubs, each one awarded with certificates and trophies for their respective position. The Toastmasters program has as its goal the improvement of the speech and leadership skills of its individual members so as to make him or her more competent in all aspects of life. 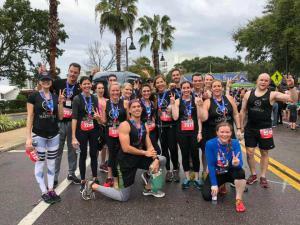 The Way to Happiness Association Tampa Bay Running Team established promoted unity and the 21 common sense principles for better living at the February 23rd Gasparilla Race. TAMPA , FLORIDA, US, February 28, 2019 /EINPresswire.com/ — Nineteen members of The Way to Happiness (TWTH) Association Tampa Bay Running Team ran in the 23rd February Gasparilla Distance Classic race. 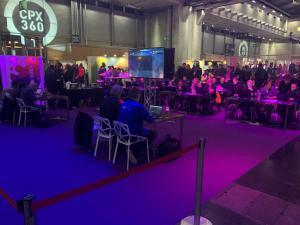 Among the 14,000 who ran the race, two members of TWTH Running Team placed 20th and 29th in the 5K and two others placed 30th and 33rd in the 15K. 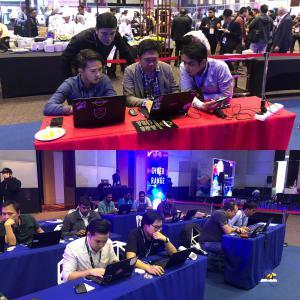 But no matter where the other team members placed in the race, they were all winners because as they promoted TWTH’s 21 principles for better living. The Way to Happiness, a non-religious moral code written by L. Ron Hubbard, includes principles such as, “Take care of Yourself,” “Set a Good Example”, and “Be Competent” all of which the team demonstrates through this sport and which they prominently display on their t-shirts. 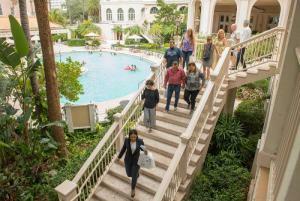 The Way to Happiness is authored by L. Ron Hubbard and TWTH Association Tampa Bay is one of nine humanitarian outreach programs sponsored by the Church of Scientology. For more information about the program or how to obtain materials please contact The Way to Happiness Community Center on 33 N. Fort Harrison Ave, Clearwater FL 33755. 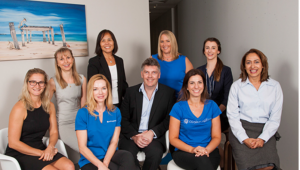 Open daily from 10am – 10pm or call: (727) 467 6961. Arleene Bowles demonstrates the ‘rock step’ during a swing dance lesson at the February Swing Dance for Charity at the Fort Harrison. Guests enjoyed live music, dancing and refreshments in support of Criminon Florida. CLEARWATER, FLORIDA, US, February 28, 2019 /EINPresswire.com/ — On Thursday February 21st at Clearwater's Fort Harrison, Savoy South Dance Hall celebrated a late Valentine’s Day with their monthly Swing Dance for Charity. Dancers turned out to dance to the music of the Flag Band as well as support Criminon Florida. 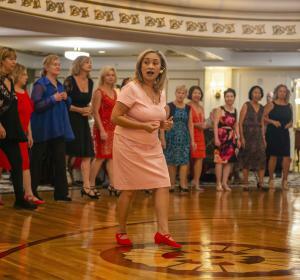 Ninety people attended, filling the Fort Harrison’s oval dance floor. After enjoying refreshments from the buffet, beginning swing dancers were invited to receive a lesson from career dancer Ms. Arleene Bowles of Savoy South Dance Hall. That night, the lesson was all about East Coast Swing, also known as the "jitterbug." Guests were then introduced to Criminon Florida, represented by their President Brian Fowler and their Vice President Cheryl Caputo. Fowler and Caputo both noted the low recidivism rate in those who go through the Criminon program, which was of interest to the attendees. All of the funds donated at the dance that night were given to Criminon to continue their rehabilitation efforts. After the introduction to Criminon, guests crowded the dance floor to swing to the Flag Band. The Flag Band also provided musical accompaniment for the traditional "Cake Walk". The March Swing Dance will be held on the 21st and will benefit TherHappy Therapy Services, a non-profit that utilizes hippotherapy (horse therapy) to people with physical disabilities. A donation of $15 includes refreshments, a dance lesson and swing dancing to the Flag Band. The dance lesson starts at 7pm, with open dancing at 8pm to the Flag Band. Partners are not required and experienced dancers will be on hand to assist Ms. Bowles. For more information about the event, please call (727) 467-6860. The Fort Harrison is the international religious retreat for the Church of Scientology Flag Service Organization, the sponsor of this monthly event. Since completing construction in 1926, the Fort Harrison has been the home to many events for charitable organizations. The latest owner, the Church of Scientology, completed a top to bottom restoration of the Fort Harrison in 2009, and since then has hosted over 320 community events there. Scientology is an applied religious philosophy, founded by L. Ron Hubbard. 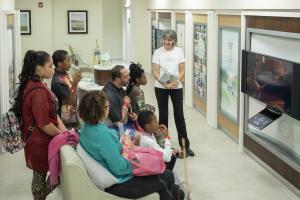 The Church makes its facilities available to non-profit groups as a service to the community. Chris Corrales covers “CNC Tech Trends” March 8 at Cabinets & Closets Expo-Charlotte. CHARLOTTE, NORTH CAROLINA, UNITED STATES, February 28, 2019 /EINPresswire.com/ — Chris Corrales, the owner of CNC Factory in Santa Ana, California, will address the Cabinet & Closets Expo and Wood Pro Expo, Friday, March 8 at 1:30 at the Charlotte Convention Center. 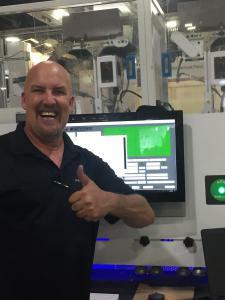 Corrales will reveal the latest and most useful additions to CNC (Computer Numerically Controlled) equipment–including 3rd Generation Machines that Do ALL the WORK. "Woodshops can reap the benefits of going from three employees to one employee without having to have a dedicated CNC operator," Corrales says. "By choosing a more advanced and robust machine that can do all the heavy lifting, marking, printing and spoil board cleaning, shops can free up headcount while greatly increasing production!" CNC Factory designs, builds and manufactures CNC machines in their Orange County, California facility. “With CNC Factory located in the United States, we integrate new technology into CNC systems quicker and more skillfully than any other CNC manufacturer in the world,” Corrales says. CNC Factory is demonstrating its new 2019 Python XPR at the Cabinets & Closets/Wood Pro Expo event booth number 531. This "Driverless" CNC machine reaches a pinnacle of engineering that combines third generation (3G) robotic loading with: spoil board self cleaning; hands free robotic labeling and printing; laser measuring for critically precise depth-cutting; part marking for post production processes such as edgebanding and fastener inserting. Users benefit from multi-directional graphic and text labeling instructions on nested materials. With these in place, woodworkers always know which edges need post production attention, and operators never lose track of cut pieces. 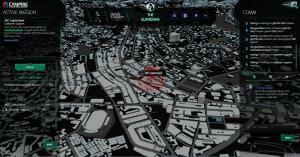 In addition, Cabinet Vision software allows printing in various orientations. The 2019 Python XPR is designed for profitability, speed and ease-of-use. It is the workhorse of all CNC machines saving users’ backs and delivering a host of grow-as-you-grow features. Corrales, who designed the 2019 Python XPR, notes that he, “included an automated 12-tool rapid carousel that changes tools in just four seconds, and moves 1,800 inches per minute." The Python conquers long, complex, multi-tool tasks efficiently from one to fifty sheets, with just one push of a button. It’s ergonomically, user-friendly, and needs only one operator to run in either robotic or manual mode. Receive FREE tickets to Cabinets & Closets Expo and Wood Pro Expo with your online registration from CNC Factory. Go to https://www.microspec.com/reg/CCEWPE2019/ use code: CNCFact19 at check out. CLEARWATER, FLORIDA, US, February 28, 2019 /EINPresswire.com/ — ack by popular demand and following the successful Valentine’s Day workshop, Are You Creating or Destroying Your Relationship?, The Way to Happiness (TWTH) is holding a workshop at their downtown Clearwater center on the 28th of February at 7:30 pm where participants will learn the basics of how to find the right partner in life and creating health relationships. Finding that special someone in Florida seems to be more difficult than average, according to a 2013-2017 Community Survey which found that the overall divorce rate in Florida is 12.9% compared to the US national divorce rate of 10.9%. In Tampa Bay, almost 300,000 people went through a divorce last year. Workshop attendees will participate in drills to familiarize them with a key principle from The Way to Happiness book by L. Ron Hubbard, Be Competent, as it applies to creating healthy relationships. “That is why a willingness to learn and and to provide guidance are so vitally important to competently helping one enjoy great relationships in life,” said, Ms. Tanja Cranton, the Executive Director of The Way to Happiness Association Tampa Bay. The Way to Happiness Association Tampa Bay is sponsored by the Church of Scientology as one of its many humanitarian outreach programs providing solutions to bring about respect and mutual understanding amongst our communities.